One of the biggest challenges with bathroom design is coming up with a solution to the problem of providing a sufficient amount of natural light in a relatively small interior location. The Solatube Daylighting System is an excellent way to bring much-needed light into the design of bathrooms of all sizes and styles. Bathroom design can be particularly challenging when it comes to making sure there is sufficient lighting, simply because most bathrooms have few, if any, windows that allow light to filter in. Solatube Designer Touches offer versatile, stylish and contemporary design options for bathrooms and other interior spaces. The new Solatube line is the first to include Dual Lens Array Technology, offering a selection of Effect Lenses, which can soften or warm the light color, and Diffuser Lenses, which control the light diffusion within a space. The lenses can be combined for visual interest and comfort. Homeowners can customize the way daylighting is incorporated into their interior design schemes by choosing their favorite trim style (white or stainless), shade option (clear or frosted), diffuser type, and lens effect preference (natural, warm, softening, or warm/softening). The Solatube Daylighting System can also be customized with a variety of add-on kits, including one that allows a light fixture for evening use, a ventilation unit, and a daylight dimmer. Incorporating The Solatube Daylighting System into your bathroom design can also be an energy efficient lighting solution. Solatube Designer Touches are available with the Energy Star®-rated Solatube Brighten Up® Series, which includes the Solatube 160 DS Daylighting System, illuminating up to 200 square feet, and the Solatube 290 DS Daylighting System, illuminating up to 300 square feet. 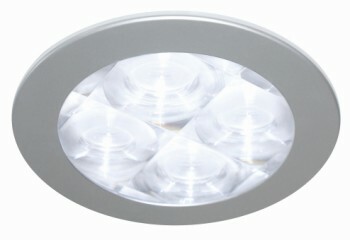 For more information, see Solatube's website.